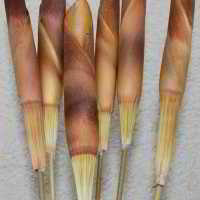 Dried WheatGrass (Wheat Grass) is perfect for decorating with. 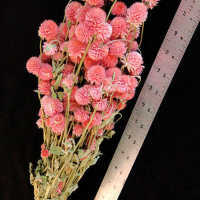 Add some to a medium size dried floral arrangement for a nice touch to any living space. Make a home warming gift to give a friend or new neighbor. 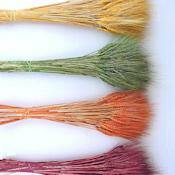 Whatever your occasion is try some dried wheatgrass to make that dried arrangement special. 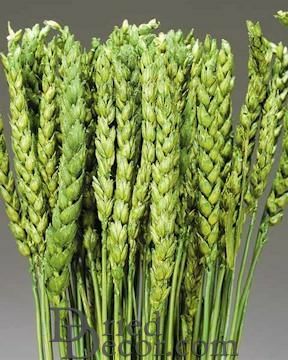 Wheat grass is long stemmed and green in color. 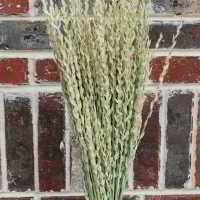 Wheat grass is beard free to show the head development well. 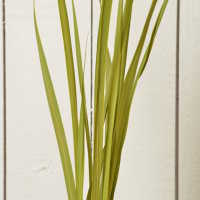 Beautiful on its own, wheat grass, placed in a tall slim vase makes a wonderful arrangement for any living space. 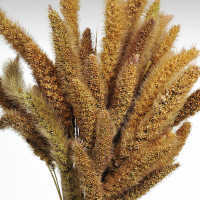 The color of wheat grass is refreshing, reminding the onlooker or bright summer days and lots of sunshine. 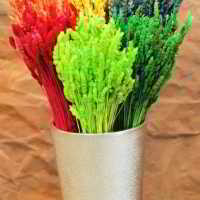 Dried WheatGrass (Wheat Grass) is perfect for decorating with. 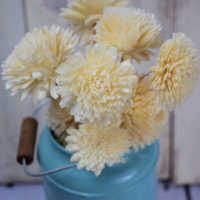 Add some to a medium size dried floral arrangement for a nice touch to any living space. 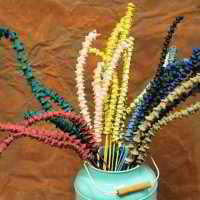 Make a home warming gift to give a friend or new neighbor. 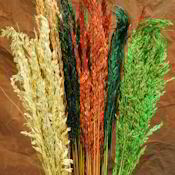 Whatever your occasion is try some dried wheatgrass to make that dried arrangement special. I am very pleased with my order. I might be needing some more very soon. 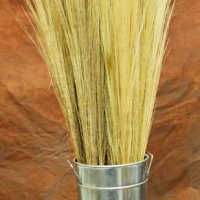 The product was beautiful. It was a very vibrant green. We were very satisfied with the products.